MANILA, Philippines – The Cebuana Lhuillier-Philippine team will try to ride on the emergence of Treat Conrad Huey to No. 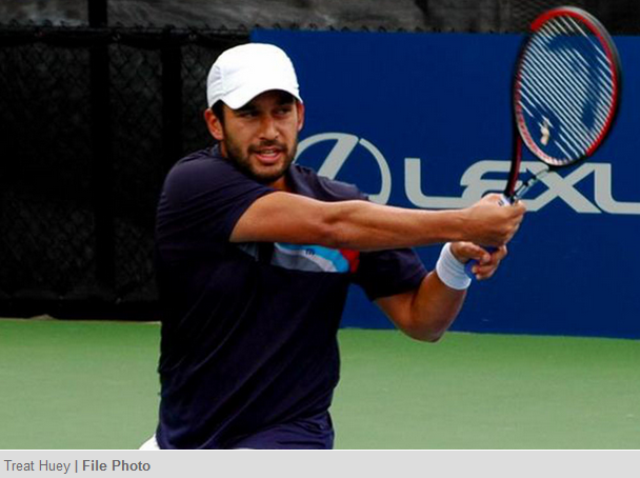 18 in the world doubles as it takes on a fancied Chinese Taipei starting Friday in their Group 2 Asia-Oceana Zone Davis Cup tie at the Phl Columbian Association's courts in Plaza Dilao, Manila. Huey, 30, is coming off a semifinal finish in the doubles of the recently concluded Wimbledon Open, which catapulted him from 24 to a career-high No. 18 in the ATP rankings and should be a little pumped up when he partners with Jeson Patrombon in the doubles match against Hung Jui Chen and Wang Chief Fu on Saturday. "I just want to try to help the team win in whatever capacity I can," said Huey in Thursday's drawing of lots at the PCA. David Smith, an International Tennis Federation official, presided over the draw and picked Taipei No. 1 Chen Ti, who will play Philippine No. 2 Ruben Gonzales in the first singles match at 3 p.m. while Phl No. 1 Francis Casey Alcantara clashes with Taipei No. 2 Huang Liang-Chi at 5 p.m.
After the doubles, the reverse singles, if necessary, are on Sunday with Alcantara battling Chen at 3 p.m. and Gonzales tackling Huang at 5 p.m. The Filipinos own a 4-3 (win-loss) head-to-head record against the Taiwnese but the latter beat the former the last three times, the last coming in a year ago in a 3-1 decision in Kaohsiung City that shut the Group I door on the Phl. "I hate losing, period," said Gonzales. Taipei's non-playing skipper Chiang Jinn Yen is optimistic of their chances in the singles matches but he didn't show the same confidence in the doubles. Chen and Huang are ranked 227th and 529th in the world as against Alcantara's 1189th and Patrombon's 1121st, respectively, while Huey is way ahead of everyone on the Taipei roster with his impressive No. 18 ranking. "We're better in the singles but the Phl should be hard to beat in the doubles," said Chiang. That is the main reason Phl non-playing captain Karl Santamaria is hoping to steal one in the singles matches. "That is the challenge we have to overcome, and we have high hopes we can," said Santamaria.